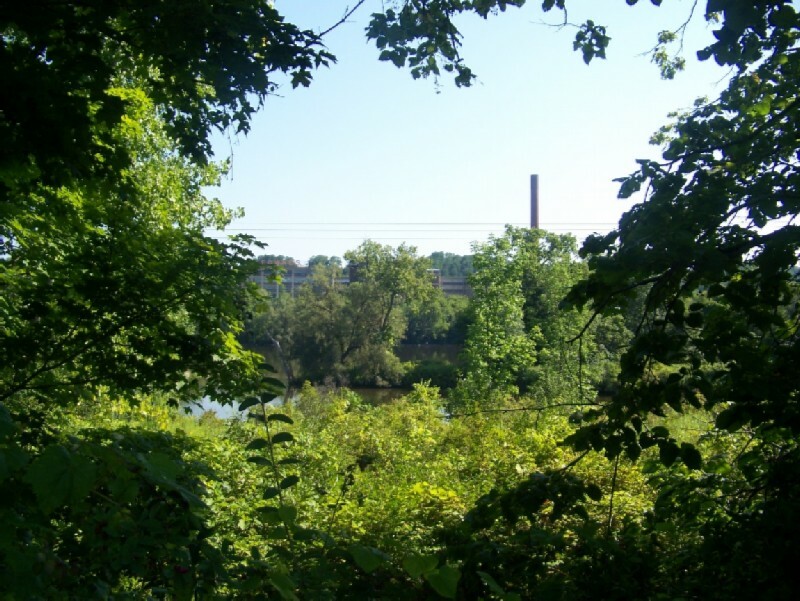 Looking across the river/canal in the downstream direction from Little Falls, where maps indicate the Mohawk-Hudson Bikeway begins, all one sees is a steep hill rising directly from the bank. I pictured a very hilly start to our days ride. 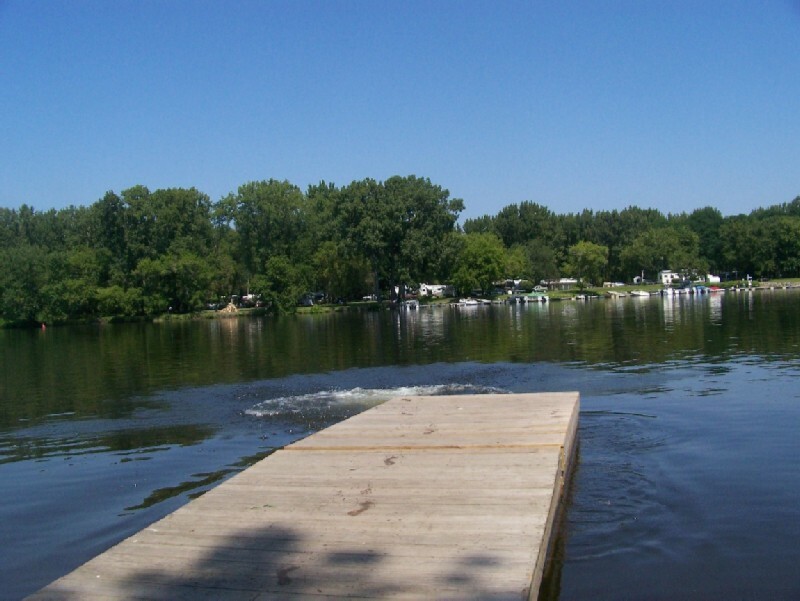 But after turning left onto West Casler Street immediately after crossing the Route 167 bridge, and riding 2 blocks through a residential area, I saw why I didn't see any path from the other side of the river. We came upon a trail in a deep cut that was obviously a former rail line. 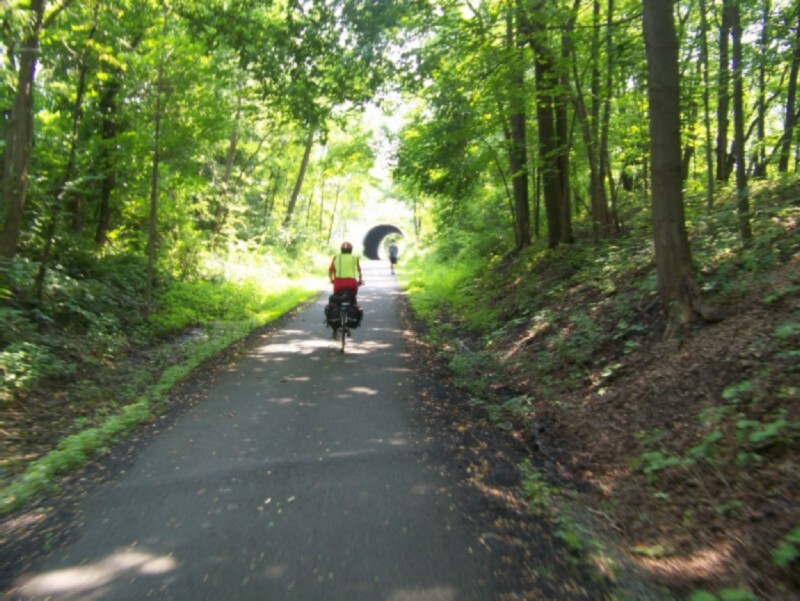 If there were any indication on various web sites that this was a rail trail, I missed them during the planning phase. 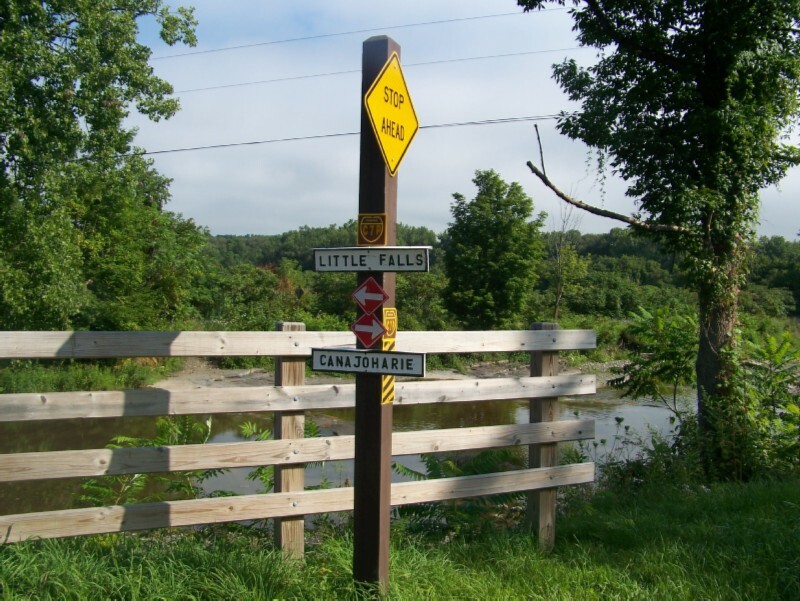 August 14: Little Falls to Fultonville; MILEAGE 32; Lodging Econolodge. WEATHER: from here to the end it steadily became hotter and more humid. 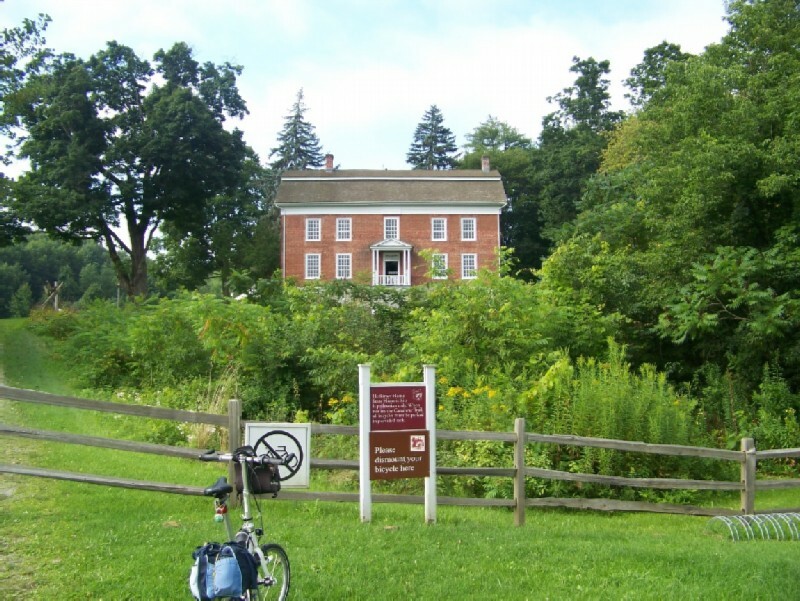 Herkimer House between Little Falls and Fort Plain. This was the first sign we saw showing which direction we were headed, much less mileage to a destination. This was located west of Fort Plain. Lunch stop at a Lock about a mile west of Fort Plain. 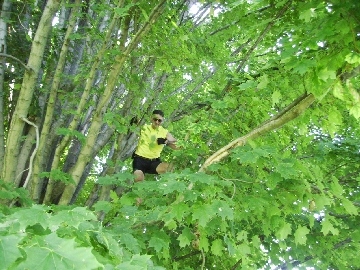 We had purchased supplies at the Dollar General right on the trail in Fort Plain and back tracked to the picnic area. Relaxing after lunch near Fort Plain. 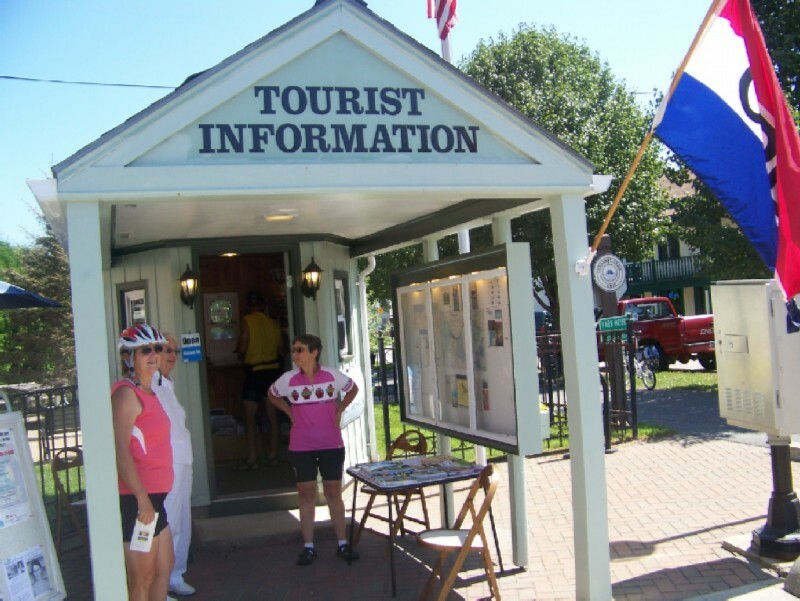 We talked with a very friendly lady at the Canajoharie Tourist Information kiosk while taking a break from the midday sun. 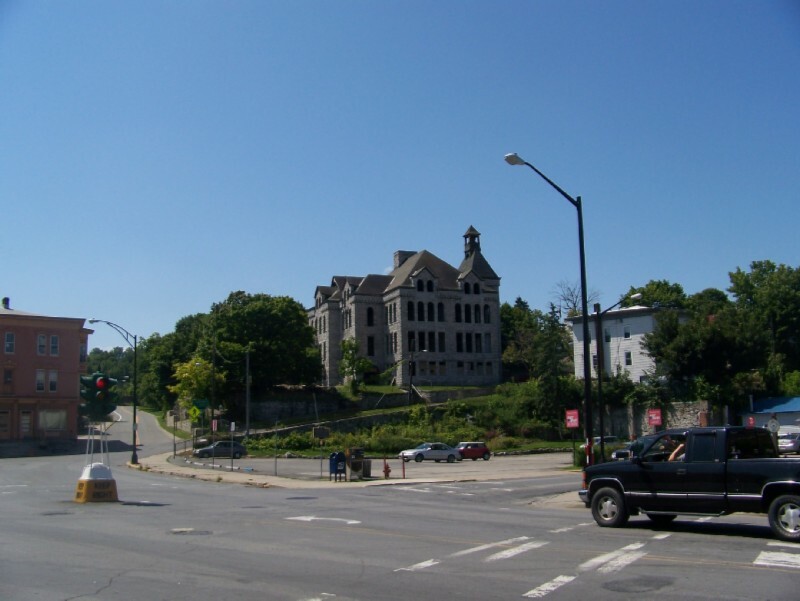 Former Canajoharie public school; now owned by a rich New Yorker. We turned left off the bike trail onto N. Main in Fultonville toward the river/canal. After .2 miles just before the bridge, we turned right on Riverside Drive for .5 miles past several truck stops, motels, McD's, and the NYS Throughway exit to the Econolodge. 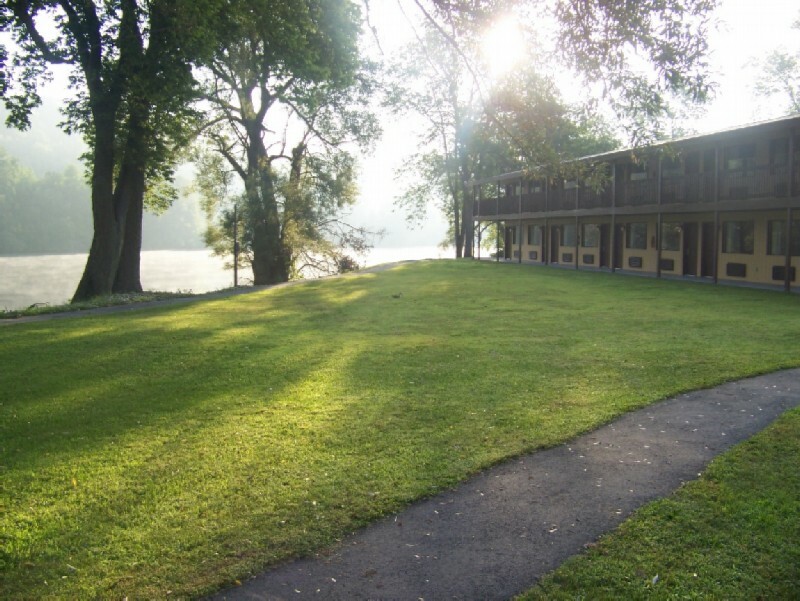 Riverside view of the Fultonville Econolodge. This motel had received horrible reviews; but it turned out to be the nicest of the motels on the tour. (If one paid attention to all internet reviews, one would never get out of bed). Against all odds, it even had Dunkin Donuts, cereal, and coffee for breakfast. Please don't begrudge me donuts one day a year. The front of the motel faced the typical asphalt jungle found at interstate highway exits. But the rear view shown here was cool and quiet. 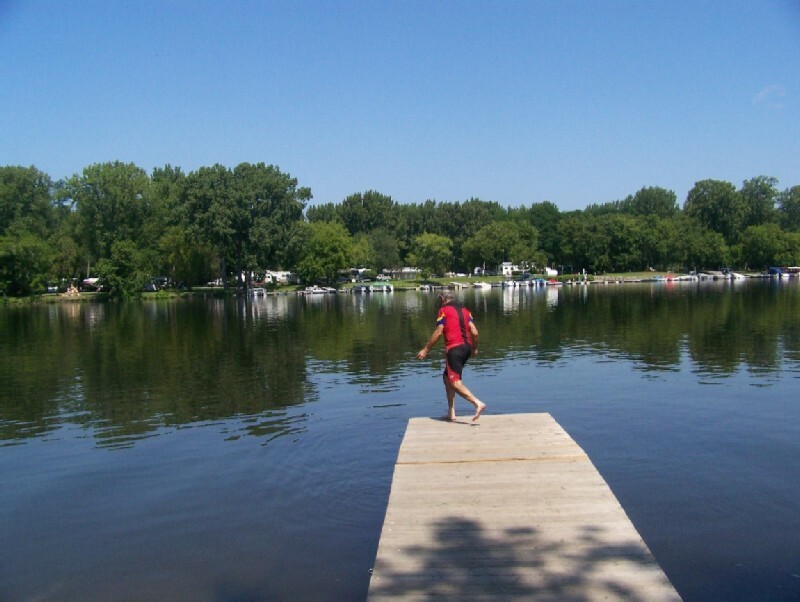 Our only gripe was that the pool was not open; but Gary and I did take a dip in the river/canal. Reviews had also complained that there was nowhere to eat nearby except for Dunkin Donuts. 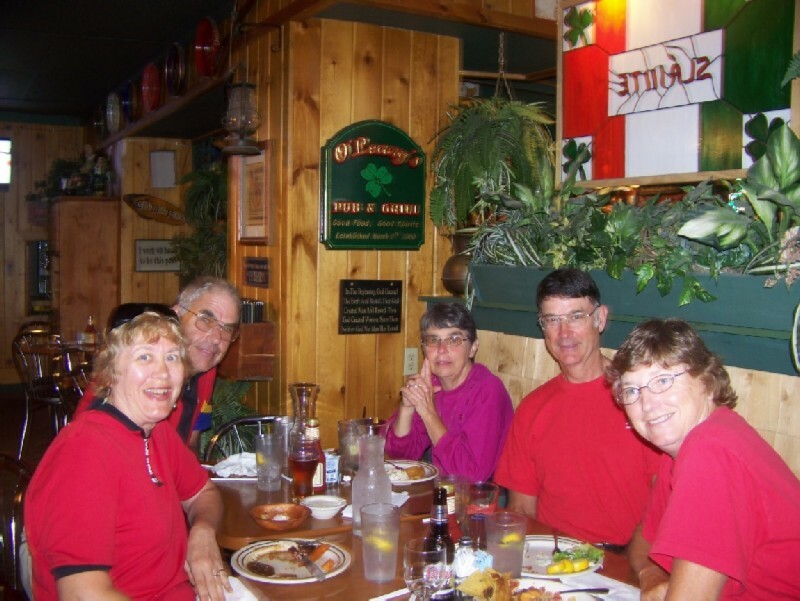 On the contrary, we found a Buckhorn Restaurant inside a truck stop nearby, which I would classify as casual family dining. No complaints. August 15: Fultondale to Scotia, MILEAGE 29, Lodging Scotia Motel. It appeared from looking at a map that if we continued east on Riverside Drive, rather than backtracking to where we left the trail, we would hit the trail just after going over the Throughway. However, after going up two good size hills and crossing the Throughway we came to Route 5S. Apparently the trail had been hiding under the overpass along side the Throughway. After a short time on 5S we did see the trail on the left. 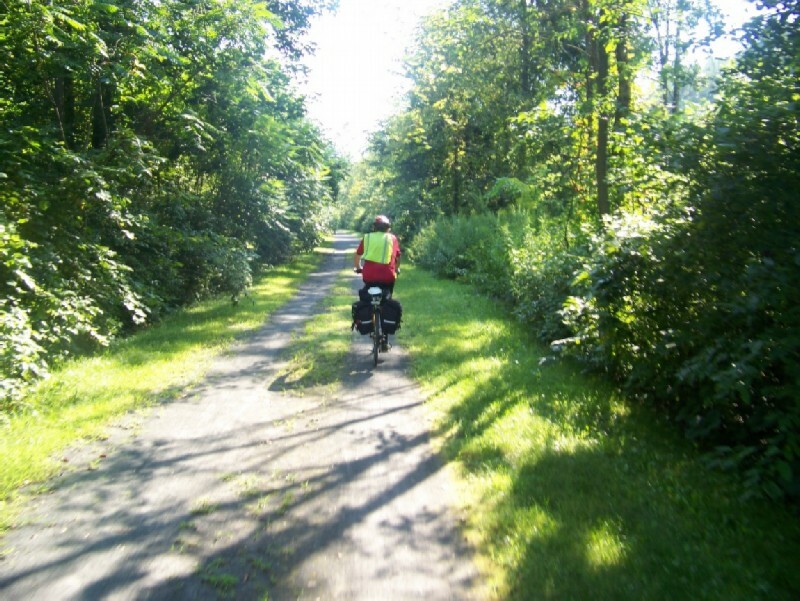 Rail trail near Auriesville. The mostly shaded path made the hot weather a little easier to take. Crossing an unknown creek into Fort Hunter. 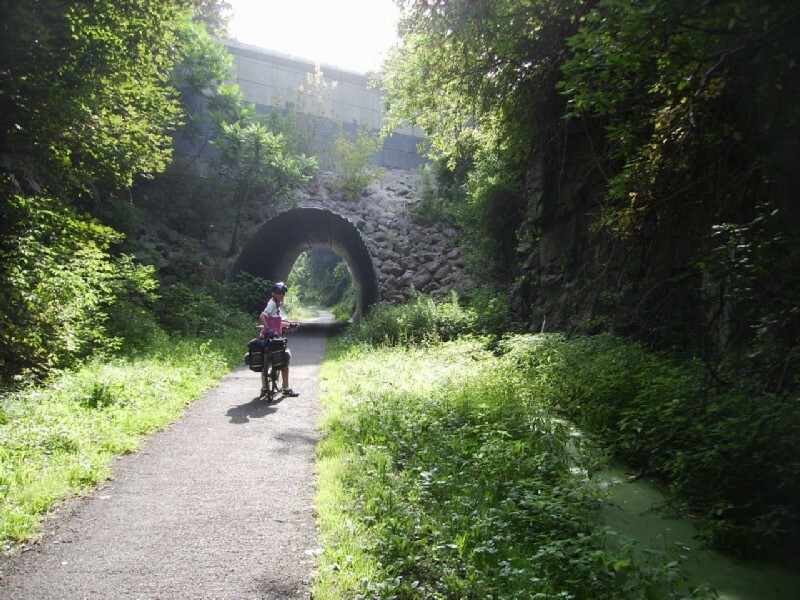 If you Google "Erie Canal Trail", www.nycanal.com is the first link that comes up. 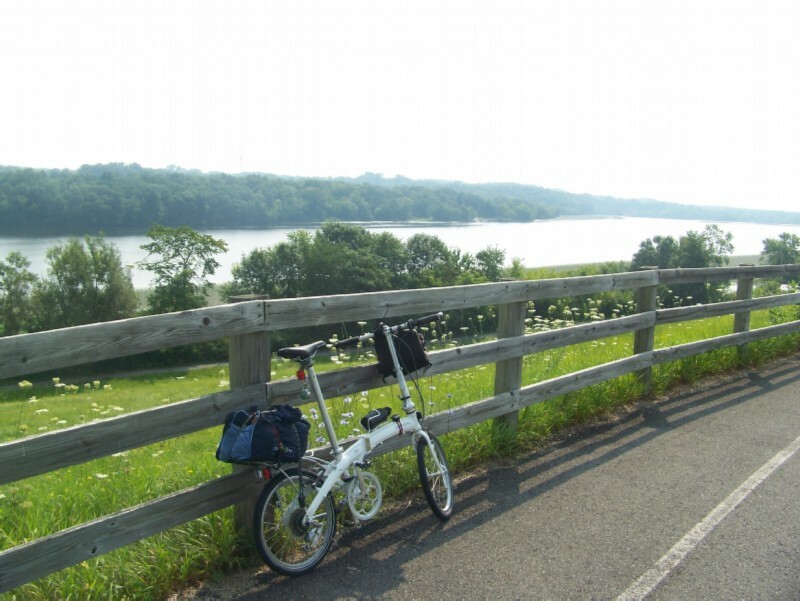 It claims that the Mohawk - Hudson Bikeway begins here. Not very helpful for planning. Even Google Maps show a bike path beginning much earlier. National Guard Armory in Amsterdam. Fownes Glove Company just east of Amsterdam. Apparently this factory is still in operation. 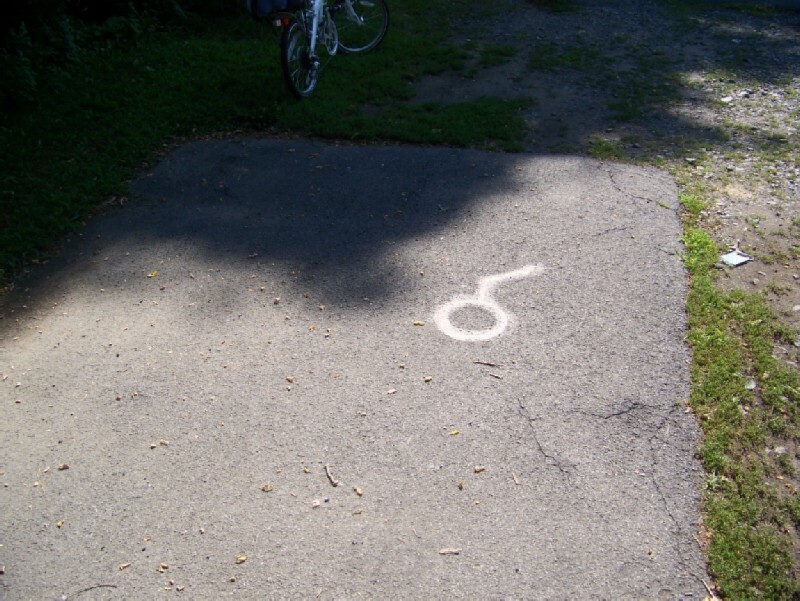 Whenever we had trouble navigating due to a missing sign or our missing the sign, we could count on the pink circles with an arrow coming out of it painted on the pavement. I presume they were put down by "Cycling the Erie Canal" people. This one points to the road at the break in the trail a mile or so east of Amsterdam. 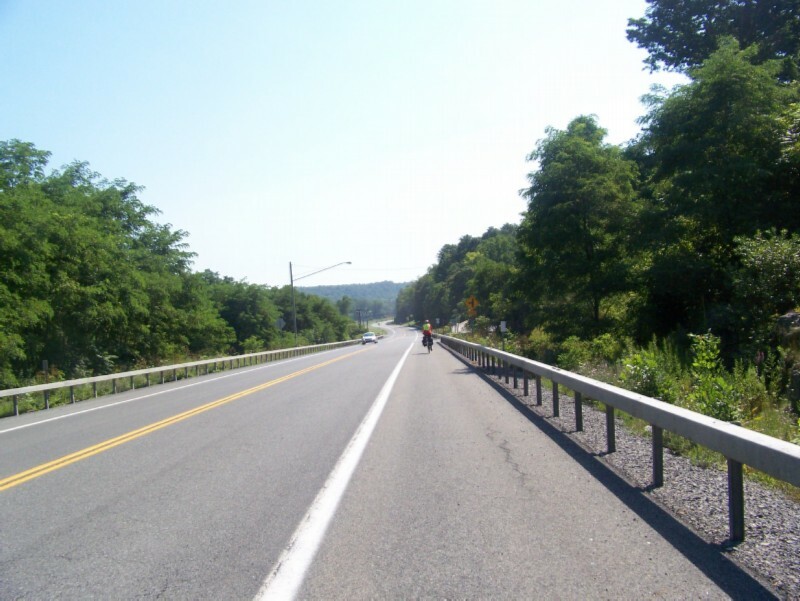 NYS Route 5 (also Bike Route 5) between Amsterdam and Rotterdam Junction. 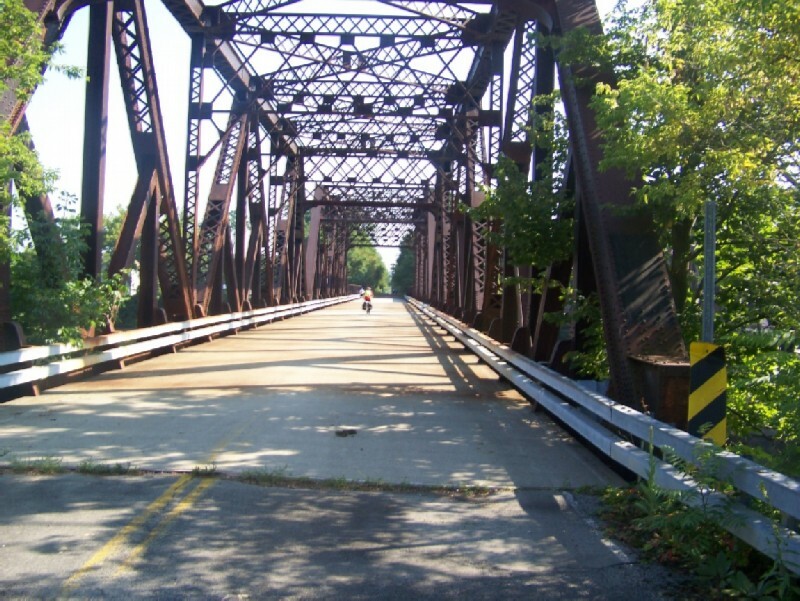 About 5.6 miles after losing the bike path, it reappeared on right the just beyond a railroad overpass. As far we could see there was no sign pointing to it. It would have been easy to miss it because it was hiding behind the overpass, except that I had spotted it using Google Maps' street view. Shortly afterwards, a detour put us back on Route 5 in Rotterdam Junction. Just past SI Group chemical plant and railroad crossing, on a street to the right along side the Dirty Pig biker bar and bar-b-q joint, there was a bike route sign. I gave it a try; but after 2 blocks the street turned into rough gravel and a steep downhill. So I turned around, figuring I would come across the trail soon enough, which turned out to be after .4 miles. The trail ran both ways; so turning at the Dirty Pig would have taken you to the trail. Getting ready to cool off at a lunch stop in Kiwanis Park between Rotterdam Junction and the Scotia exit. The photographer was a little to slow to catch the swan dive. 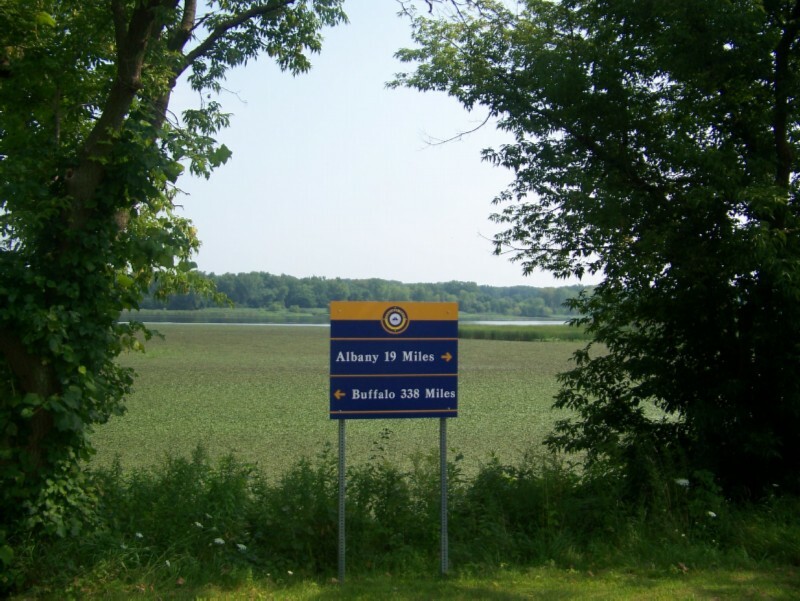 We opted to continue until the trail ended at the Schenectady County Community College and then back track over the Route 5 into Scotia, instead of crossing earlier on the bike path along side I480. The rooms at the Scotia Motel were a bit small, but otherwise was a nice Mom & pop in a quiet residential area. 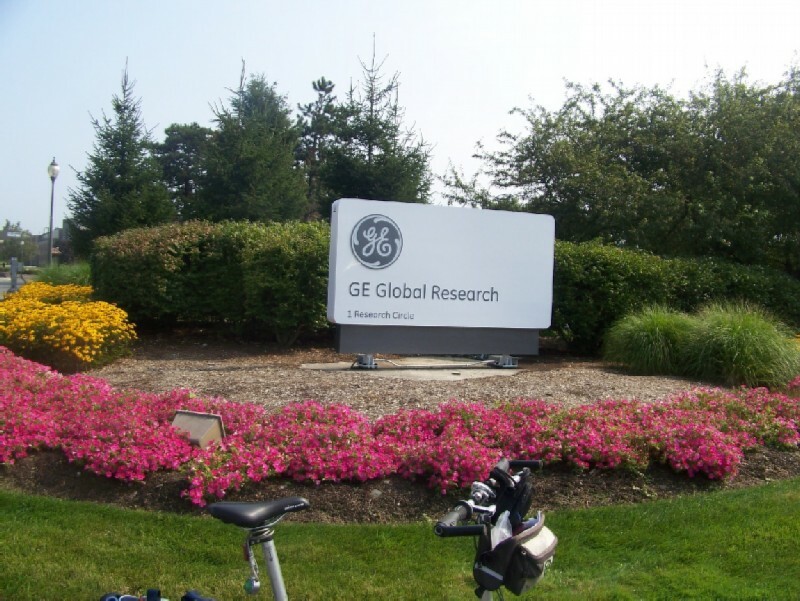 After 3 miles (4.2 from the start of the trail), we make an abrupt right turn and went up one of the steepest hill I had ever seen in order to get around GE and Bechtel Marine Nuclear research facilities. Apparently they got there first. The cause of steep climb. On the way back down to the railroad grade. 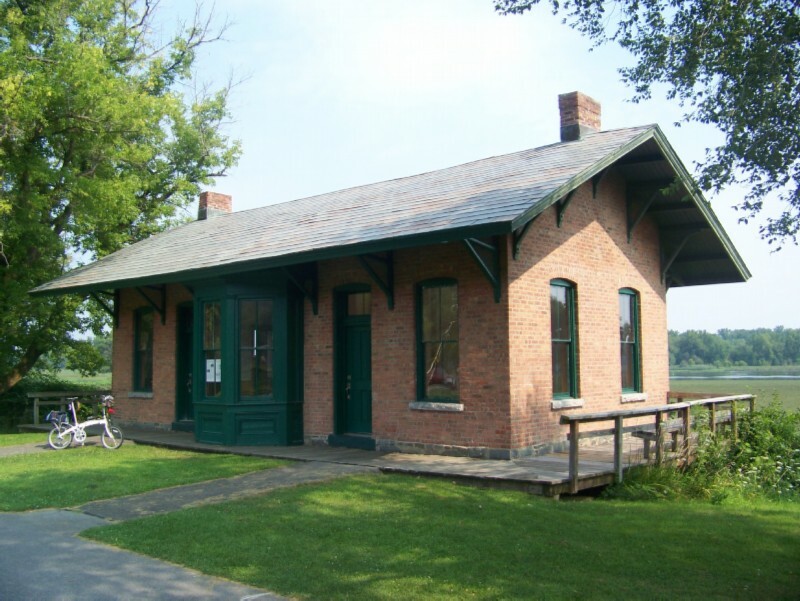 Restored turn-of-the-century train depot in Lyons Park, Niskayuna. A sign indicates this portion of the trail from Schenectady to Cohoes was the former Troy and Schenectady Railroad, later New York Central. We're getting close. Only the second destination sign we had seen. A short rest in Colonie. After a short bit of street riding to get around the break in the trail caused by I87, we're back into the woods. 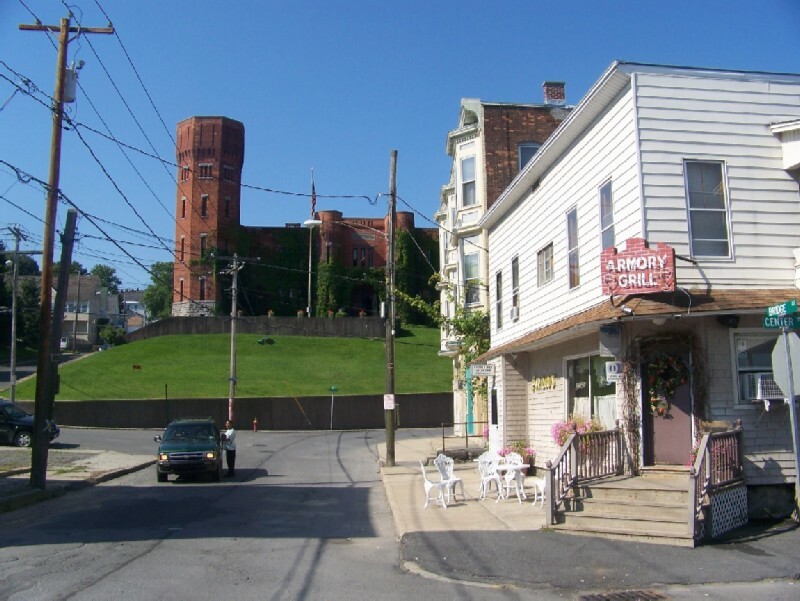 It continued like this to the end of the trail in Cohoes. For the last couple of miles the trail hugged the side of a steep hill with Cohes below us on the left. 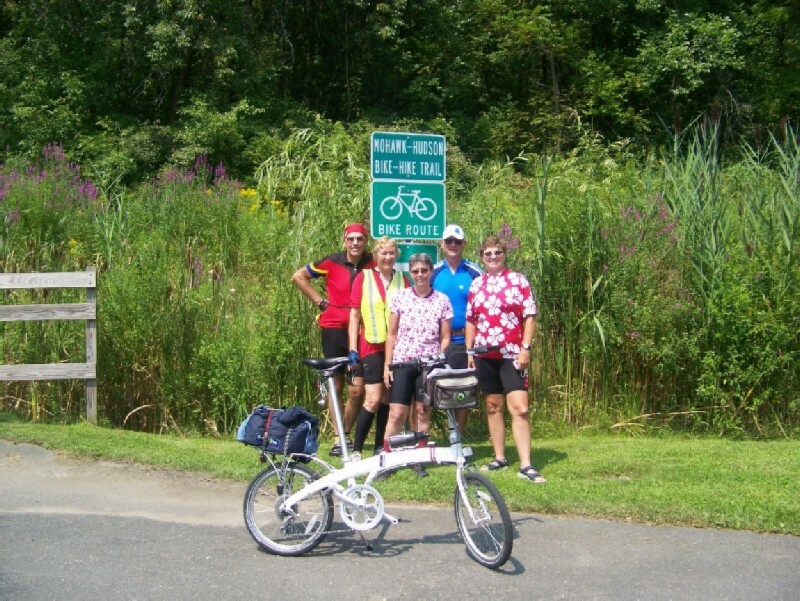 Regrouping at the end of the Mohawk - Hudson Bikeway in Cohoes. A passerby was kind enough to take our picture. Marcia and Janelle, where are you?